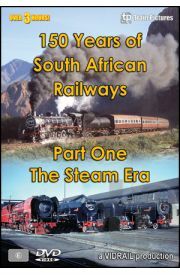 This epic two part DVD programme commences with a review of the ancient steam locomotives of the very first standard gauge railway companies in the Cape and Natal colonies, followed by the development of steam motive power under the various regional governments in South Africa. This followed the dec..
Field to Revelstoke on a Canadian Pacific Priority Intermodal CP train 177 is a priority intermodal. 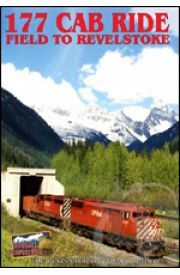 We rode a GE AC44 on177 from Field to Revelstoke through the spectacular Rocky and Selkirk mountains, including the longest tunnel in the western hemisphere, the Mount Macdonald tunnel. Picture in.. 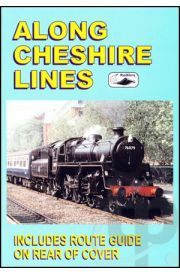 This programme looks in depth at the former Cheshire Lines Railway between Manchester, Stockport, Altrincham, Northwich and Chester. After an introduction the programme is divided into three watchable segments each accompanied with detailed commentary and archive film and photographs. Cheshire Li.. 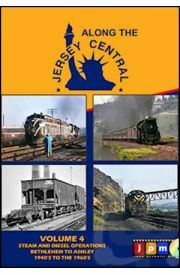 In volume 4 of Along the Jersey Central, we’ll look at steam and diesel operations from Bethlehem to Ashley, between the 1940’s and the 1960’s including operations of the Ashley Planes. 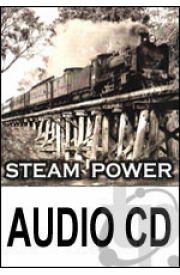 From the films of Addison Weida, Charlie & Ken Bealer, the Randolph Kulp collection of th..
Digital stereo recordings of New South Wales and Victorian steam locomotives breathing steam life into the southern states of Australia. Click on the cover image for more information. ..
With a comprehensive railway network coupled with spectacular scenery, historic cities, picturesque towns and villages Austria offers one of the best travel experiences in Europe. 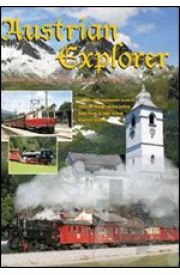 This brand new DVD explores many of the most popular areas including: Vienna - the beautiful and historic capit..
Miniature Steam Railways Driver Experience. 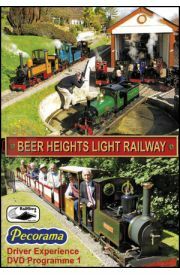 The Beer Heights Light Railway at Pecorama, Beer at the heart of Lyme Bay provides one of the most delightful attractions to visit and ride on through glorious landscaped gardens. 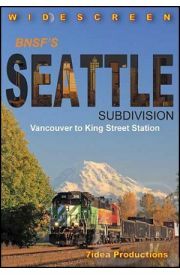 It's a steam railway in miniature (7.25' gauge) but with all t..
BNSF’s Seattle Subdivision is one of the busiest rail lines in the Pacific Northwest. BNSF and Union Pacific polish the rails with a great variety of unit trains plus intermodal, mixed merchandise, and many locals.In addition to freight traffic, the busy subdivision hosts ten Amtrak trains: fo..
General Motors The Diesel Directory is a series of programmes looking at the development of British Diesel Rail Traction. In the 1980s the independent stone producing company Foster Yeomans ordered a small series of locomotives from General motors of the USA. 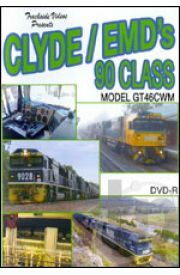 Delivered as Class 59 they became pro..
Everything you need to know to get started in MODEL TRAINS. 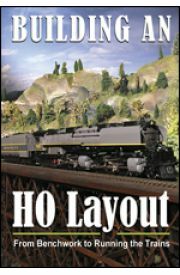 From the producers of over 100 model train and toy train videos, this all-new DVD covers every facet of building a scale, realistic HO layout. Techniques demonstrated on video are much easier to learn and carry-out than reading text a.. 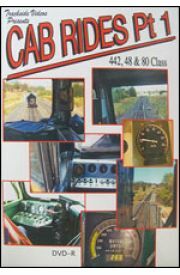 Enjoy cab rides in 442, 48 & 80 class diesel locomotives. .. The Thompson River cuts through the rugged country of south central British Columbia, Canada. 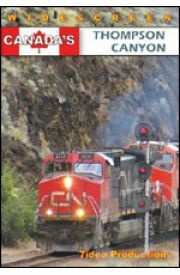 Its wild and scenic course proved to be the best route for building a transcontinental railway and today is used by both the Canadian Pacific and Canadian National. 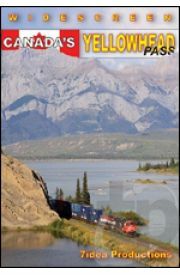 Continuing the journey that beg..
At 3,711 feet above sea level and with gradual approaches on both sides, Yellowhead Pass is the ideal railway passage of Canada’s Rocky Mountains. Canadian National utilizes this strategic crossing of the continental divide marking the provincial boundary of British Columbia and Alberta. Th..
Travelling from Chester to Manchester through Cheshire's rich and varied landscape this programme provides the viewer with the unique opportunity to experience the train driver's point of view. No detail is missed in seeing the whole journey from Chester through Altrincham and Stockport a.. 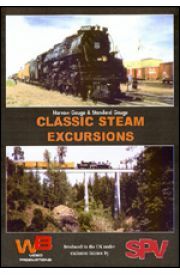 The world's largest operating steam locomotive, Union Pacific 3985, a 4-6-6-4 Challenger, is featured on two passenger specials. The trips between Denver, Colorado and Laramie, Wyoming were sponsored by the Rocky Mountain Railroad Club in the 80's. You are on board, trackside and in the cab ..
SUKHOI Jet Aircraft Sukhoi Company is a major Russian aircraft manufacturer, headquartered in Begovoy District, Northern Administrative Okrug, Moscow, and designs both civilian and military aircraft. 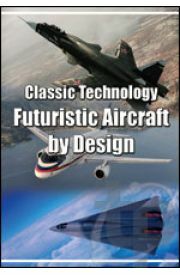 It was founded by Pavel Sukhoi in 1939 as the Sukhoi Design Bureau. 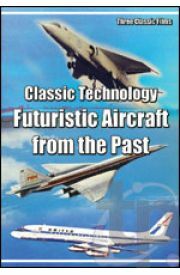 This is the story of their Jet ..
Three classic films on one DVD The British Aircraft Corporation TSR-2 was a cancelled Cold War strike and reconnaissance aircraft developed by the British Aircraft Corporation for the Royal Air Force in the late 1950s and early 1960s... It was killed off by the F-111. The Boeing 2707 was..
Model GT46CWM. 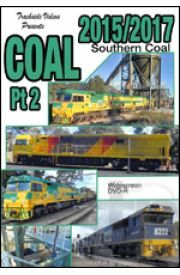 View this locomotive working on Hunter Valley coal services. 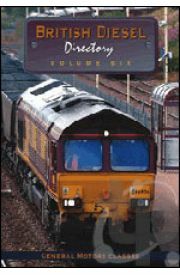 ..
See the 82, GML & R Class locomotives in action hauling intermodal, grain, coal and general freight services. ..
Southern areas covered from 2015 and 2017 with loads of coal action from Aurizon, Pac. Nat. & SSR. .. 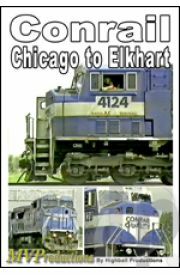 This is Conrail's high traffic Chicago Line, part of Big Blue's Dearborn Division, and Elkhart is a large classification and hump yard on the Contrail System. We'll see over 70 trains! It's a mix of train types from trailer-van to mail to steel and manifest. 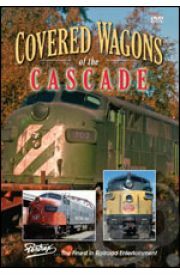 Locations include Chic..
F Units and E Units, commonly known as Covered Wagons, were very much standard power in the 1950's & 60's. 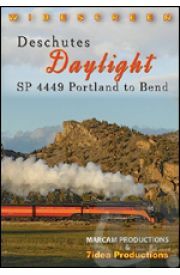 By the 1970s, age was catching up to these classic units and their sheer numbers began to dwindle as railroads either rebuilt them into switchers or retired them from service altoge..
Southern Pacific Daylight Number 4449 is one of the most beautiful and well known steam locomotives in America! Watching her traverse the Pacific Northwest with a colorful consist of vintage passenger cars is always a sight to behold. 7idea and Marcam Productions have teamed up to present a fasci.. Drivers Eye View. 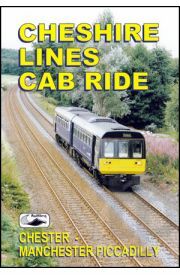 We travel over both lines on one service, formed of a class 143 Pacer. The branch from Exmouth to Exeter hugs the shore of the wide River Exe estuary for the start of its 9 miles to Exmouth Junction, where it joins with the former LSWR main line from Waterloo. At Exeter..